2018 was a busy, eventful and exciting year for all of us here at Infinity! As always, we love to share all of it with you! Check out some of our 2018 highlights below. We mentioned these in detail in its own entire post, but the addition of our new inclusions was a HUGE step in the right direction toward being able to give our homeowners everything they dream of! All of the options that everyone has come to know, love and expect from an Infinity Home are now included in all of our floor plans–like our Sunrooms, 3-car Garages, Living Space Extensions and Exterior Enhancements. We launched our first community in Mars, PA this past year–Cypress Fields!!! Long-awaited, this community is beautiful and in high demand. It’s location in close proximity to Mars schools, and its walkable, neighborhood-style vibe make Cypress the place to be. 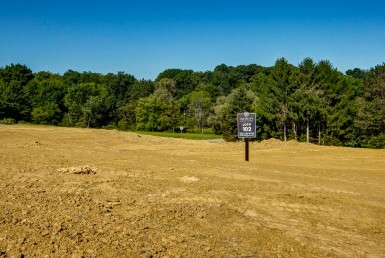 We also paved and released new phases in two of our communities this past year – Sunset Ridge in Pine Township, and Forest Edge in Cranberry Township. These homesites are fantastic, and we are very excited to add them to our lineup. We are thrilled to unveil our first Townhome communities! We have two beautiful new communities (Enclave at Highpointe in Seven Fields, and Brookwood Brownstones) in Peters Twosnhip- that will feature gorgeous, unique townhomes unlike any ones you’ve ever seen. Keep your eyes peeled, as these will be released very soon! We were honored to have been the recipient of a variety of awards which highlighted our growth and accomplishments throughout the year. We were recognized as a 2018 Best Places to Work in Western PA. If you ask any Infinity employee, you’ll quickly see that everyone genuinely loves what they do. We truly employ the best of the best in the industry! This award recognizes the 50 fastest growing companies in Western PA. We are committed to not only growing as a company, but staying true to our commitment to building quality, custom homes while providing an outstanding customer experience. We opened 2 new model homes in 2018. We take great pride in creating unique and on-trend spaces where you can expect to be inspired! Throughout the year we had the privilege of working together as a team to support a variety of charities. Over the summer we hosted a Carnival where we raised funds for the Leukemia and Lymphoma Society to support a member of the Infinity team who was diagnosed with Lymphoma. We raised over $10,000 for the LLS’s Light the Night Walk! This fall we filled our model home with a variety of boutique vendors and raised money for a local family who is supporting their 8 year old daughter fighting a rare brain tumor. We raised over $3,000 for Team Tessa! Our employees and vendors came together this holiday season to give back to families in need. We were able to donate over 150 toys to the Toys for Tots! As a team we worked with a local group to feed roughly 150 homeless individuals on the north side of Pittsburgh. This was a genuinely humbling experience and were were thrilled to be able to come together and give back to the community. We hope you enjoyed this update on what Infinity has accomplished in the past year, and what we have to come! We look forward to continue to share it all with you. Happy 2019!